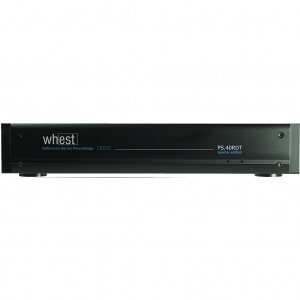 A whole new chapter in Whest Audio phono stage and small signal design starts here. 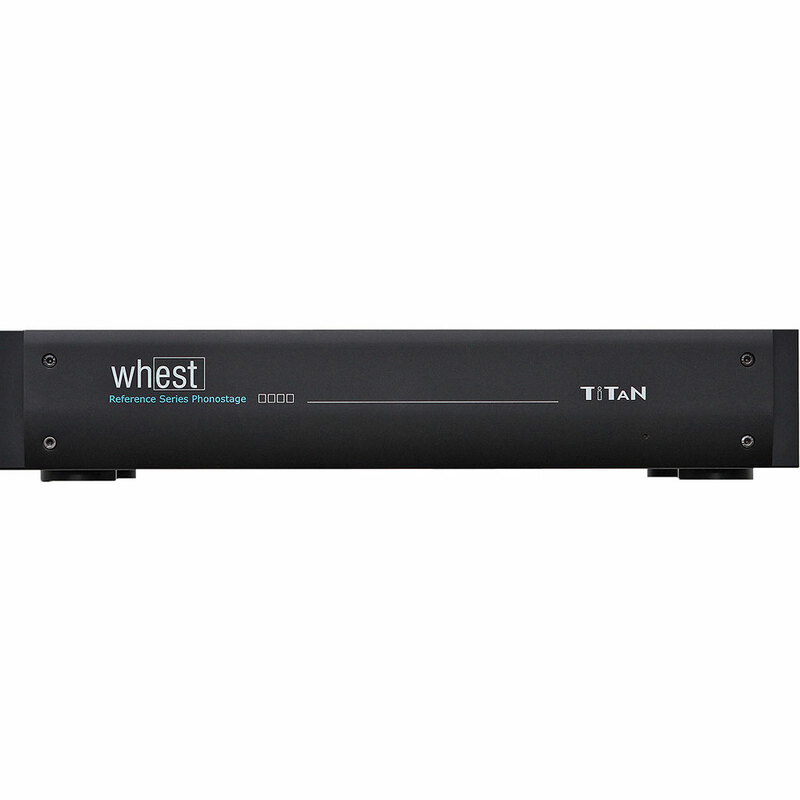 The TITAN Pro utilises all new technology borrowed from a new Whest Audio flagship that is due for release very soon. 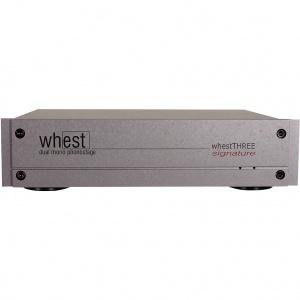 The essential elements that make the Whest Audio phono stages world-renowned and loved are still retained such as unsurpassed musicality, high-resolution, ultra stable imaging and realism. What the TITAN Pro adds is an extra dimensional 'space' with greater instrument-harmonic resolution, 'life like' musicality and a 'microscopic type' of focus that is totally unheard of at this price level and way above - the TITAN Pro pushes the boundaries of vinyl reproduction like no other phono stage. Starting with the chassis. Although the chassis is the same size as the 30 series chassis (430mm x 290mm x 78mm) and manufactured using the same precision computer controlled machining, hand-welded and finished seams to give it high rigidity as the 30 Series and MC REF V MK4, a new high-tech paint process has been added to effectively damp the casework to reduce unwanted 'ringing' aiding in greater levels of mid and high frequency resolution. The paint process is unique to Whest Audio and is applied in the UK by a company regarded as the 'specialists' in paint technology. Internally the chassis incorporates a suspension system for the TITAN Pro's circuit board. The combination of this new suspension system and damped chassis means that all unwanted vibrations from airborne or structure sources are well damped. The TITAN Pro circuit board uses ultra low impurity copper throughout and its copper weight has been increased compared to the award winning PS.30RDT Special Edition. Small signal integrity is of the highest importance and with this in mind a new regulator system has been designed and employed for the all-new discrete technology input stage the TITAN Pro carries. The new discrete input stage for the TITAN Pro is based on the MC REF V MK4 input stage but has been 'trimmed' to get the best from the new regulator system which powers it. Hybrid RIAA has been kept in the TITAN Pro design as not only is it tried and tested and used throughout the full Whest Audio range, but in the TITAN Pro is now trimmed to a far tighter tolerance for both curve and channel matching. Channel matching now is to within 0.12dB and RIAA curve accuracy to 0.18dB. Both these figures are across a bandwidth with spans from 9Hz and 62KHz. Any non-Whest Audio phono stage would be at least 2dB and even 3dB down at these extremes, but having experience in pro-audio, vinyl cutting and mastering, we have designed the TITAN Pro to be able to playback what your precious cartridge is capable to retrieving and often that is all the way up to 55 or 60KHz. 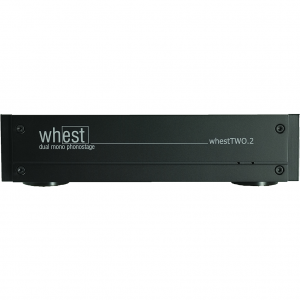 Gain and load selection is accessed under the chassis like all Whest Audio phono stages but the TITAN Pro stretches the envelope further to give the end-user more flexibility with 8 selections on each as well as a fixed 'user' position. With the fixed user position a 'permanent' resistor can be fixed in this position if the user has settled on a non-standard value. Maximum gain now is 76dB and with the TITAN Pro's ultra low noise levels it means you'll never be stuck for gain ever again! All units are setup for standard low output moving coil (64dB/100ohms with 91pf of input capacitance) but if you do want to experiment it just takes 30secs to change over. 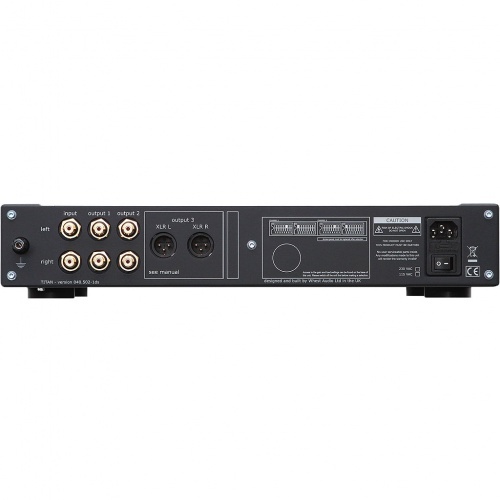 Signal inputs and outputs are on 'audiophile grade' RCA and XLR connectors identical to that used in the MC REF V MK4. 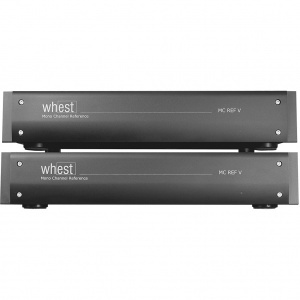 Because Whest Audio phono stages are used in archiving both professionally and domestically we have included a second set of RCA outputs to allow the user to send the output to their computer for transfer while 'monitoring' the output through their main audio system. This means that the TITAN Pro can be permanently connected to the computer system and main audio system at ALL times, ready to transfer. The TITAN Pro noise levels are so low that using 24bit or 32bit conversion is possible without the fear of unwanted signals getting to the soundcard. The PS.30RDT and PS.30RDT Special Edition have always been the vinyl lover's choice for archiving, now we have a new standard in the TITAN Pro TITAN Pro - no other company in the world designs with this attention to detail. 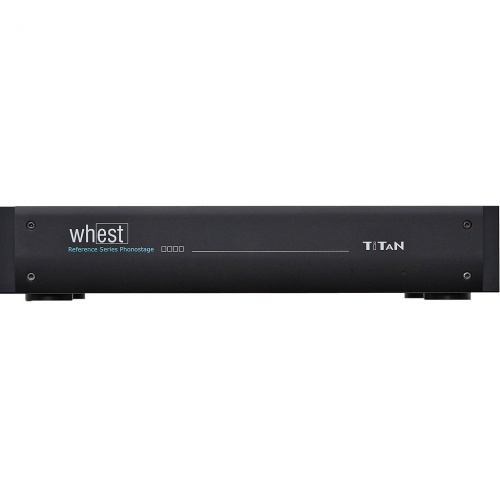 The TITAN Pro : 'ultra matching' critical components in the audio and DC paths. The matching is by channel so that each channel behaves much likethe other. This is translated in far better and etched images, better low frequency tracking and rock solid and fluid stage imaging. The internal cabling of the TITAN Pro is high performance OCC and comes with its own 1.2m Linear Crystal OCC interconnect. As a one-box phono stage.... there is nothing better than the TITAN Pro anywhere in high resolution audio.